Transitioning is Tough, It’s Even Harder on Your Own! 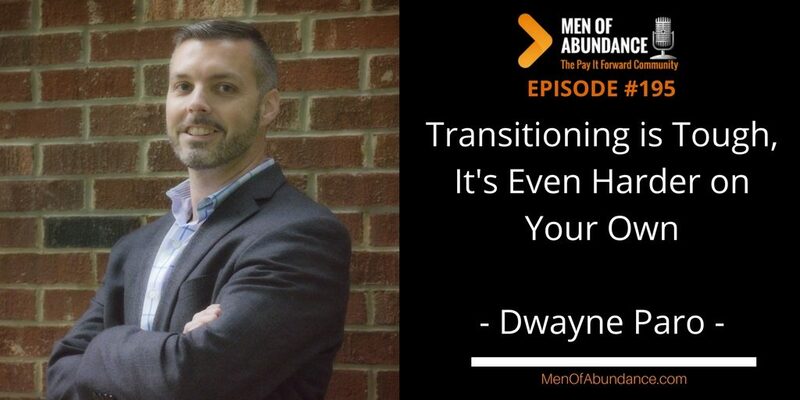 Rather you’re transitioning from the Military to Civilian, Job to Job, Career to Career or Job to Entrepreneur and building a business of your own, that transition is TOUGH. And there are a few things you can do to lessen the pain. That’s when Dwayne Paro and I are talking about today. Dwayne Paro is very committed and passionate about supporting transitioning Veterans. He is a veteran who served in the Air Force for 8 years and has spent the past 20 years supporting the federal government as a contractor in Washington DC area. Through his dedication, perseverance, self-discipline, integrity and solid leadership skills he has progressed to be a Chief Information Officer for a Federal Aerospace Engineering firm. Using his Military and Executive experiences he has been able to step out as an Entrepreneur and establish Landmark Life Coaching. Which includes the T.E.A.M Vets program that is focused on providing what transitioning veterans need to create and lead a fulfilling and empowering life that honors their duty and sacrifice. 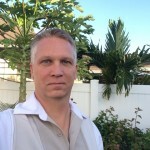 He has created and hosts the Charlie Mike Podcast which showcases the successes of veteran entrepreneurs, is a contributor on Huffington Post for veteran related topics and promoting veteran owned businesses, recently published his first book The Empowered Veteran. His mission is to honorably and respectfully serve courageous groundbreakers and transitioning veterans to persevere in defining and executing their future by providing an atmosphere of comradery and trust that honors their dedication and commitment. What you have done for the last 10-20 years does not define you. You’re not a tree. You can relocate and you can transition. Find a group of people who are doing what you want and even better, a few who have transitioned into what you want. These people can ease some of the pain and fear.